TEHRAN (Reuters) – Iran has supplied ballistic missiles to Shi’ite groups it is fighting in Iraq and has developed the ability to make more rockets there to ward off potential attacks on its interests in the Middle East and to have a way to hit its rivals in the region, Iranian, Iraqi and Western sources said. .
Any sign that Iran is preparing a stronger missile policy in Iraq would exacerbate the tension that has already increased between it and Washington after US President Donald Trump’s decision to withdraw from the 2015 nuclear deal with world powers. This would also embarrass France, Germany and Britain, the three European countries signatories to the nuclear agreement, which seeks to save the agreement despite the renewal of US sanctions on Tehran. Iran has previously stated that its ballistic missile activities are purely defensive. Iranian officials declined to comment when asked about the latest steps. The rockets in question, the Zelzal, Fatah 110 and Zafar rockets, range from about 200 to 700 kilometers. The Jerusalem Brigade, the external arm of the Iranian Revolutionary Guards, has bases in these areas. Three sources said Qods Force commander Qassem Soleimani was overseeing the program. 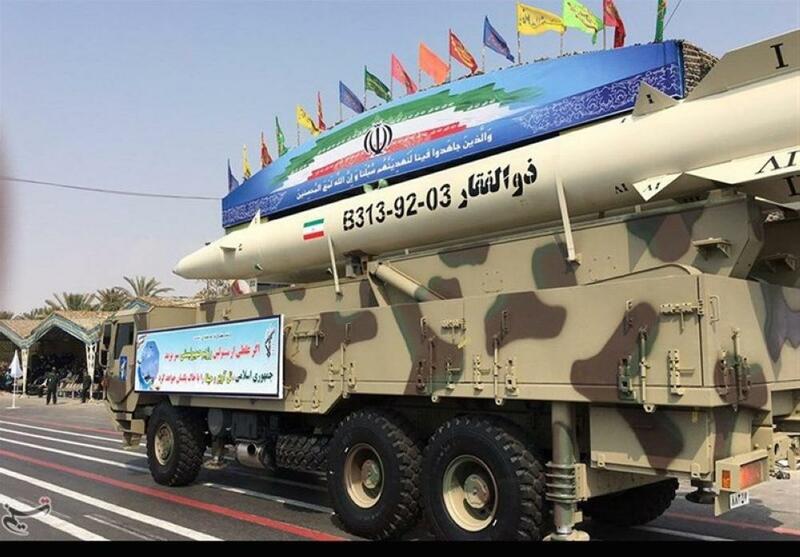 Western countries have already accused Iran of transferring missiles and technology to Syria and other allies such as the Houthi movement in Yemen and the Hezbollah group in Lebanon. Neighboring countries expressed concern about Iran’s activity in the region and considered it a threat to its security. Israeli officials have yet to respond to the request to comment on the transfer of the rockets. “Those who threaten us will put themselves in a similar danger and will not achieve their goal in any way,” Prime Minister Benjamin Netanyahu said Wednesday. The Western source said the number of missiles does not exceed dozens and that the purpose of the transport operations send a signal to the United States and Israel, especially after air raids on Iranian forces in Syria. The United States has a clear military presence in Iraq. “Iran appears to be turning Iraq into a forward missile base,” the Western source said. Iranian sources and an Iraqi intelligence source said a decision was taken some 18 months ago by armed factions to produce rockets in Iraq, but activity has increased in recent months, including the arrival of rocket launchers. The Western source and the Iraqi source said that the factories used in the development of missiles in Iraq are in Zaafaraniya east of Baghdad and the cliff of rock north of Karbala. An Iranian source said there was also a factory in Iraqi Kurdistan. These areas are controlled by Shiite factions, including Hezbollah, one of the closest groups to Iran. Three sources said Iraqis trained in Iran on how to use the rockets. The source said the Iraqi intelligence that the factory Zaafaraniya produced warheads and the material used in the manufacture of ceramic blocks in the era of President Saddam Hussein. Local Shi’ite groups renewed the plant’s activity in 2016 with Iranian help, he said. The source said that a team of Shiite engineers who worked at the facility under Saddam, after examining their records, was hired to run the plant. He said the missiles were tested near Jarf al-Sakhr. A US official, speaking on condition of anonymity, said that over the past few months, Tehran had transferred missiles to groups in Iraq, but could not confirm whether there was any capability to fire those rockets from their current positions.